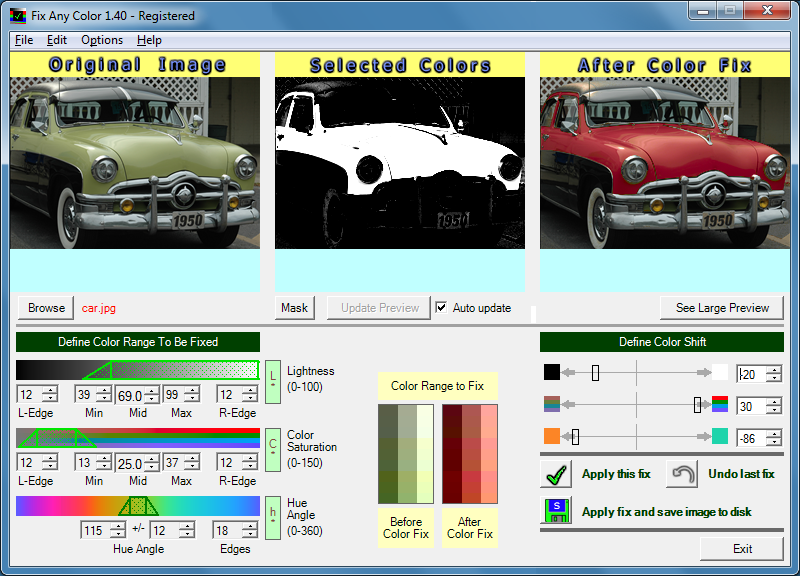 Fix Any Color - This is the main interface of Fix Any Color. To change a color of an object in your photo, you just click on the object. You then tell the software how you want the object's color changed via the hue, saturation, and lightness slider controls. The original and final photos are always displayed, as well as a highlight map showing which areas of the photo are being changed.